"Blue Cigar" by Midnight Sister. "Let Me Be The One" by Kevin Krauter. "Where Is The Love" by The Monzas. I finished reading a book this weekend, finally, after months of starting novels and feeling uninspired to finish them. I won't share the book though, because it was cheesy and I would not recommend it (the authors seem nice! They tried something!). Now I'm reading "Theft By Finding" by David Sedaris. I'm in the late 70s now and man is his like bleak! Here is a wonderful love story that started from loss. I first read the Washington Post version. For a breath of fresh air from toxic masculinity: Examples of Toxic Femininity in the Workplace. Lisa comes in for an interview. All the interviewers judge her objectively, based on her qualifications and the candor of her responses. This leaves her so confused that, on the way out of the office, she accidentally walks into traffic and dies. All the toast and all the tea. Warmth and carbs. My body is evident of winter. Rediscovered an old favorite: the hoodie dress. It's like any old over-the-head hoodie but better. You can envelope yourself and don't even need to wear pants. In black, it can be considered chic or like a disguise. Plus, worn on Sunday, I did my quiet part to support the #timesup movement. Also, if I dare go outside, I am exclusively wearing my favorite knit hat. It's red with an assortment of colorful patterns. I think I borrowed it years ago and accidentally will keep it forever (thanks, Kyle!). A little over a year ago, on my 27th birthday, in D.C. I look and dress exactly the same. I wanted a rare picture where I'm not making an absurd face. I fell into a movie research wormhole that started with seeing a trailer for the short fashion film called "Baton." I can't exactly tell what it all it. The costumes are by Dries Van Noten. 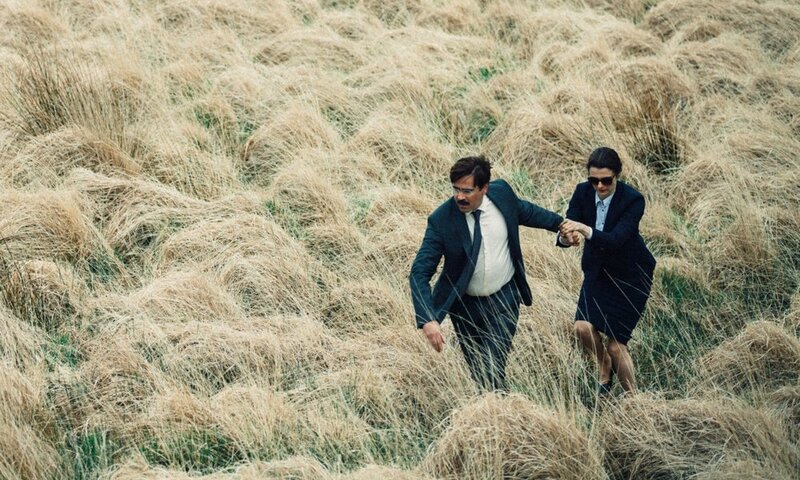 There was something eerie and dreamy about it, which led me to discover it was written by Efthymis Filippou, who is known for "Dogtooth" and "The Lobster." Aha! They all have that washed out, beautiful, and bizarre feeling. All mesmerizing, brilliant, and disturbing too. I should round out the viewing with "The Killing of a Sacred Deer" (looks creepy!) cowritten by Yorgos Lanthimos (he cowrote and directed the movies above, as well). This also led to reading about a project (tv series? it'll be on AMC) directed by Lanthimos called "On Becoming a God in Central Florida," starring Kristen Dunst. A recently widowed, impoverished Orlando water park employee schemes and cons her way up the ranks of the multi-billion dollar pyramid scheme which ruined her financially in the first place. Sounds amazing—I can picture the scenery perfectly. Are you confused yet? I could keep going... IMDb is a close friend. This is what started it. The bananas! Settling(ish). I'm sleeping on a new bed. I bought 50 hangers. I unpacked my suitcase. I'm trying to make myself feel "at home." My cat is sensing some comforting normalcy; he comes to bed to burrow under the covers with me at night. By the time I know where everything is I'm sure it'll be time to move again, but I'll savor the little familiarities for now.